Our license plate backup cameras are so popular among savvy shoppers because while the price may be lower than other cameras on the market, the build quality and features are top-of-the-line. This wireless license plate camera is constructed from heavy duty plastic that is made to withstand the rigors of the road. It is completely weatherproof, so feel free to leave it installed at all times. Just mount it directly to your license plate screws - no modification necessary. Our auto cameras also come outfitted with the latest technology and features that informed shoppers demand. For example, the military-grade night vision makes using the camera at night problem-free. The CCD (High Definition) color picture provides you with the vivid detail that you would expect from a modern camera. Most people assume that a high resolution license plate camera is a luxury item, but it doesn't have to be. You can even set this camera to activate when you are backing up, or just leave it on to monitor traffic at all times. Why spend more for a camera that does less? Nobody wants to worry about replacing a backup camera constantly. When you buy a TadiBrothers product, you only have to buy it once. Don't worry about compatibility issues. If you have any problems, you can just take advantage of our 30 day refund/exchange policy. Our dedicated tech support team is standing by 24/7 to assist you in any way. 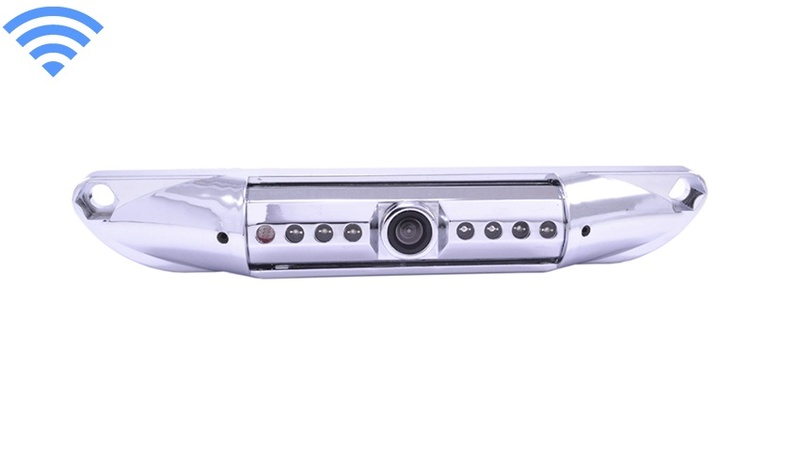 Order a quality auto rear view camera today. This wireless license plate camera has a 70ft range that can go through any vehicle.